If you feel that loose toilet chain jiggle around or that low-flow toilet flush sort of spit, sputter, and die, then I’m telling you man: it’s bad news. Before you know it you’ve got Toilet Chaos on your hands — the bowl starts filling up instead of filling down, and your chocolate milkshake threatens to spill out onto the floor. Now picture this happening in the bathroom stall at work, the first time you’re at the in-law’s house, or late at night at a date’s apartment after a romantic dinner. What I’m trying to say is that it can happen anywhere, anytime, anyplace. You will never be ready. Remember: the clogged toilet bowl doesn’t care who you are or where you’re from. No, it strikes mercilessly, without emotion, when you least expect it. Sort of like that guy from No Country For Old Men. The tall, emotionless, mercilessly-striking one. Anyway, when this happens to you, and if it hasn’t yet, it will, then there’s only one thing you can do to fight back. No, don’t lay out paper towels on the floor, don’t search desperately for the water turnoff, and don’t just stare hypnotically into the brown, swirling solar system, hoping and praying it will stop before it hits the top. Just pull out a plunger and pump it right on in there. Pump and pump and pump some more, because that beautiful little hunk of rubber on a stick has no moving parts and will work like a charm. Once you get her going, she’ll have the toilet burping like a baby in no time. Wow – you couldn’t have timed this one any better for me. As you know, it was Thanksgiving down here in the States this past weekend, and I was staying at a friend’s house in Connecticut. Well, as you can imagine, after a huge dinner (that included going back for seconds and thirds), it was time to visit the necessary. Well, that plunger next to the toilet saved the day! But what if there is NO PLUNGER? Oh, we’ve all been there. The water’s rising, and panic sets in. You look to the left of the toilet, and then to the right, but there’s no plunger to be found. 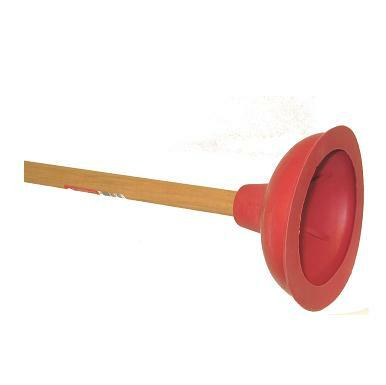 As a last resort, you start opening drawers and cabinets, and you see an object that could be a plunger, but as soon as you pull it out into the light, you realize it’s one of those “cleverly” disguised toilet bowl brushes. Totally useless in your current predicament. It’s at this point, that you need to think quickly, because the point of no return, when the water starts to spill over the sides of the bowl, is rapidly approaching. Try to remain calm, and, as fast as you possibly can, take the lid off the toilet tank and locate the arm attached to the big ball. If you lift that arm-ball thingy up, the water will stop, and you will have bought yourself some precious time. Do not let go of the arm-ball thingy. Just wait. If you wait a sufficient amount of time, the water in the bowl will begin to slowly lower. It may take a while, but an extra few minutes in the bathroom is much more easily explained than why the guest towels are now covered in your excrement. Trust me. Here’s where things are going to get a little tricky. What you want to do is pour a large amount of water quickly into the toilet bowl, so that the force of the water will clear the blockage, and potentially embarrassing problem is solved. A bucket would be very helpful. However, if there’s no plunger in the bathroom, there probably isn’t a bucket, either. Just find whatever receptacle you can, and start dumping (no pun intended) water into that bowl. That’s AWESOME advice!!!!! Thanks so much!!! wow thats weird pman i clogged the bowl yesterday and i dont have a plunger. i was scared shitless, the poo water almost poured over the rim. i grabbed towels but it was too late. A. 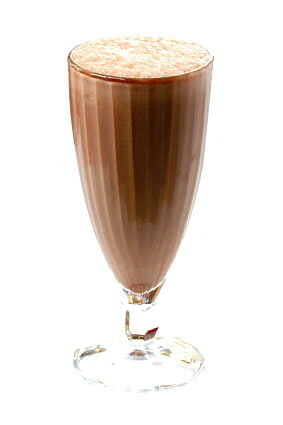 Chocolate Milkshake is my favorite euphemism that you’ve ever made. B. The best thing about toilets, in my mind, is that they have that auto-flush mechanism. If you pour a bucket of water into the bowl, before it gets to the rim, so long as the pipes aren’t clogged, it’ll flush itself. I didn’t believe it either, until I saw it with my own eyes. Now that’s AWESOME! It’s not where they are. It’s where they’ve been. I am known for using too much paper. what do you do when you are in a stall though, leave a big, yucky suprise for the next victims? when a child flushes his hot-wheel, and everything starts to back up into the bath tub and everyone stands around discussing “who had what for supper; who is to blame for the overflow”, and the finger is pointed at you… you’ll remember well into the future too. this jobs for the professional plumber. The worst experience I ever had was at my friends house for her birthday a few years ago, we were all young and had a bit too much to drink, although one friend DEFINITELY had too much and another friend who was comforting her panicked a bit when the parents arrived home and basically the toilet ended up with about 2 hours worth of drink induced vomit and toilet roll layers and layered. Eventually my friend stopped being sick and I really had to pee, however, being not entirely sober myself I just flushed and the entire system backed up, I must have been in there for about an hour trying to clear up (not wanting my friend to get in trouble, as we were all underage anyway) but they came to check on me and I was just like “I’m so sorry, it completely backed up…I don’t know what to do…” They told me not to worry about it and just get some sleep (a few of us were staying over and this was about 3am) I felt sooooo ad, even though apart from flushing none of it was my fault. I didn’t get to pee until the next day. That SUCKED!!! Visuell aber auch Audiell, denn Super Bat hat außerdem Surround Mikrofone installiert.